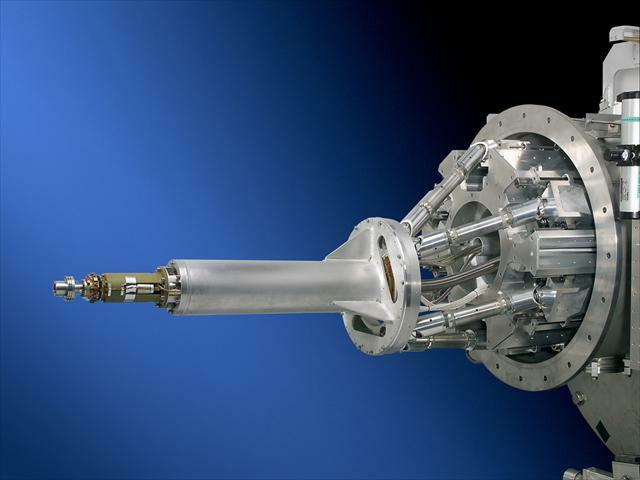 SYMETRIE supplied this 10-6 mbar vacuum positioning system to the CEA (French Atomic Energy Commission) for the Laser MegaJoule (LMJ) project. 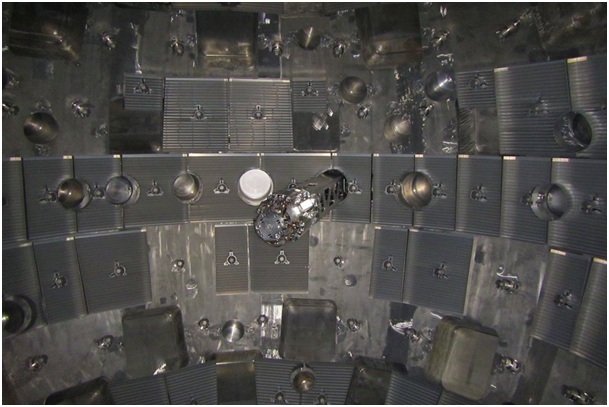 LMJ is a large laser-based inertial confinement fusion research device being built near Bordeaux, in France. 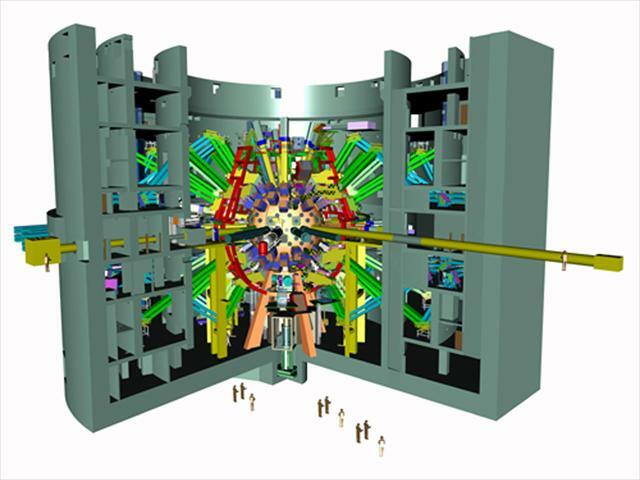 CEA needs a high accuracy positioning system (1 µm resolution) to adjust the micro-target at the centre of the test room and ensures the convergence of the 240 laser beams towards the centre. This system works in 10-6 mbar high vacuum with high nuclear rays levels. The hexapod allows six axes positioning following 6 degrees of freedom: 3 rotations and 3 translations. This hexapod precisely positions the target in the convergence centre of 240 laser beams.